A high school in an informal settlement near Cape Town is set to receive 400 bicycles funded through R1m raised by 15 Absa Cape Epic riders recently. 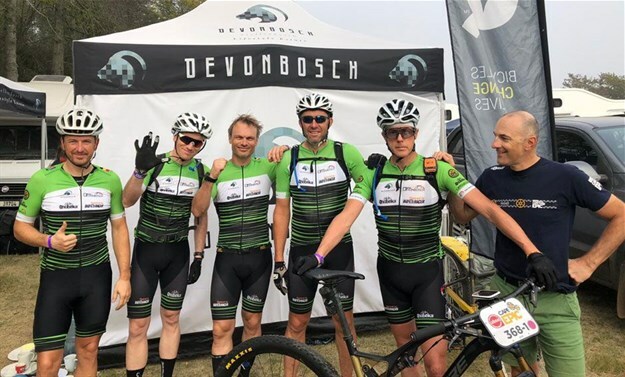 About R700,000 of the R1m was raised by six Belgian businessmen behind the Devonbosch Lifestyle Estate, near Stellenbosch, who raced in the Epic last month. Devonbosch partners with global charity, Qhubeka, to donate bikes to communities as “tools of change”. The estate’s spokesperson, Toni Enderli, said the Belgian developers were passionate about South Africa and had raised the funds to give back to the country.